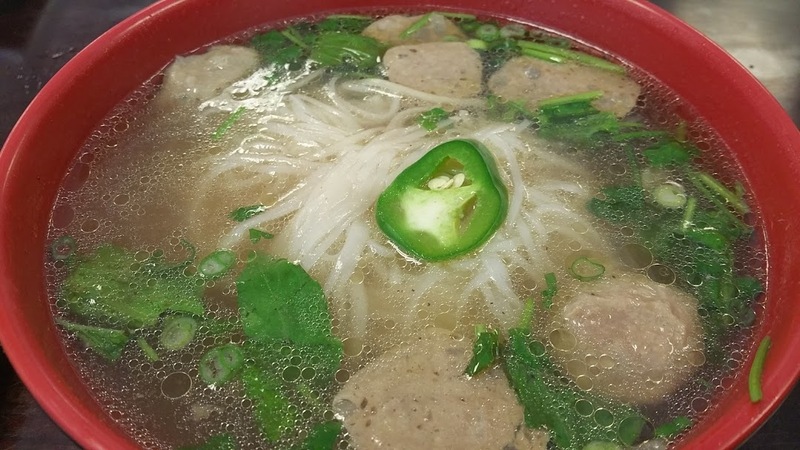 Pho has replaced Chicken Soup when the need for comfort food hits. Although I have my favorite spots in town, I was looking for close. My taste buds were so compromise I was just looking for the soothing broth and noodles that would not require much physical effort on my part. That is how I cam to PK Noodles, and a happy visit it turned out to be. No frills decor clean upon entry, as I sat through my meal, someone in the restaurant was always cleaning, be it the tables, floors or just wiping down the bottles of condiments that adorn each table. 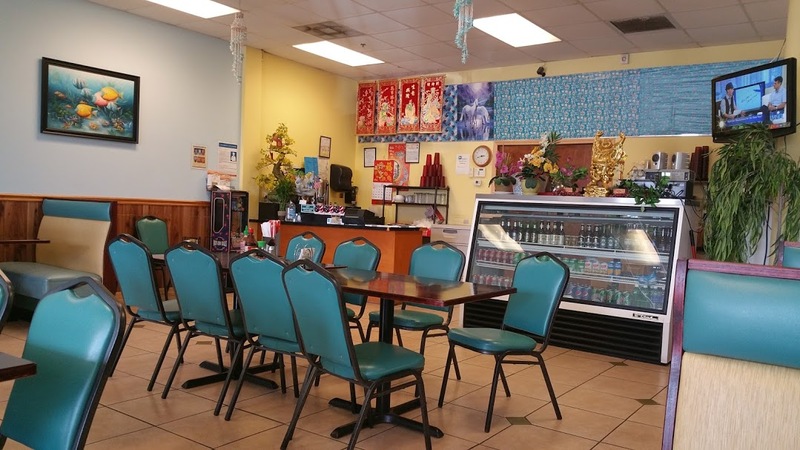 Several large tables to accommodate families and six booths that seat four. 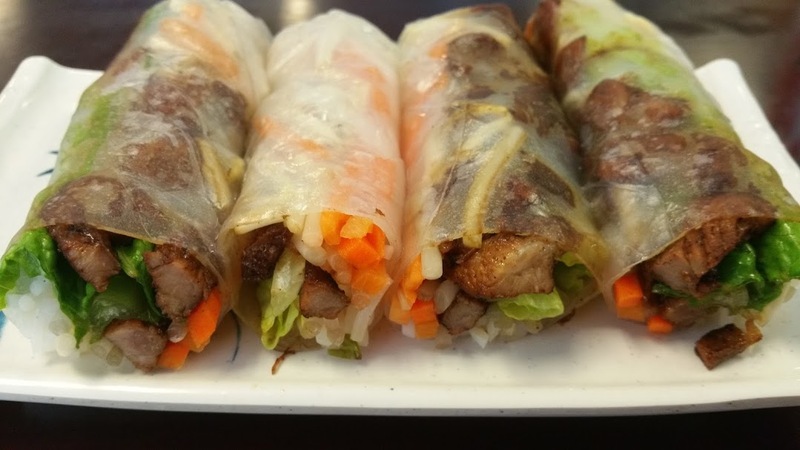 It took me a few minutes to decide, but the BBQ Spring Rolls caught my eye. Something different from the usual Shrimp or pork, I asked for a side of Peanut sauce rather than the usual Fish sauce normally served with this dish. Four very large, well packed rolls appeared at the table, with a rich dark peanut sauce including a nice sprinkling of chopped nuts. At 4.95 these rolls are large enough to be a meal. I did eat two and asked for a go box. Midnight snack! Meat was tender, warm and not overly fatty, BBQ flavor very evident. Lettuce and carrots crispy and ultra fresh. I was already feeling better. The Peanut sauce may have been the richest mixture I have ever experienced. Just brilliant. 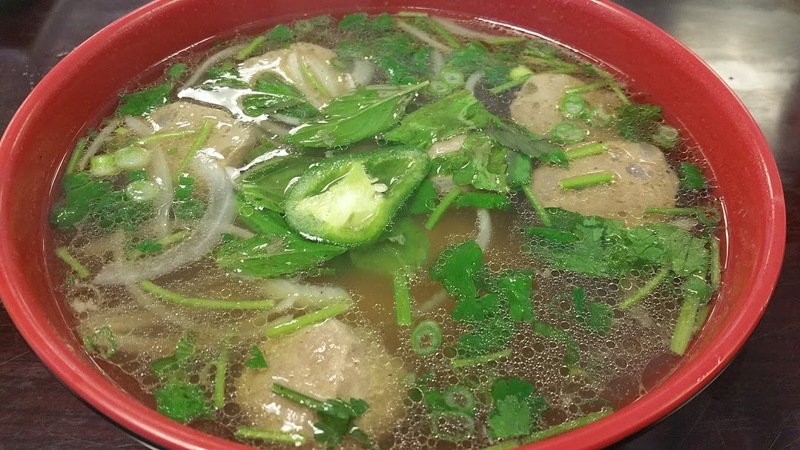 Next up the much-loved Pho, normally ordered with just rare beef, today I added meatballs. Having eaten Vietnamese meatballs in the past, I have not idea why I ordered them, I so dislike the texture, there is not way to describe it, totally just a personal choice, they may be the best in town, just lost on me. But the Pho, now that was on point. The small bowl at 6.95 could easily feed two people. 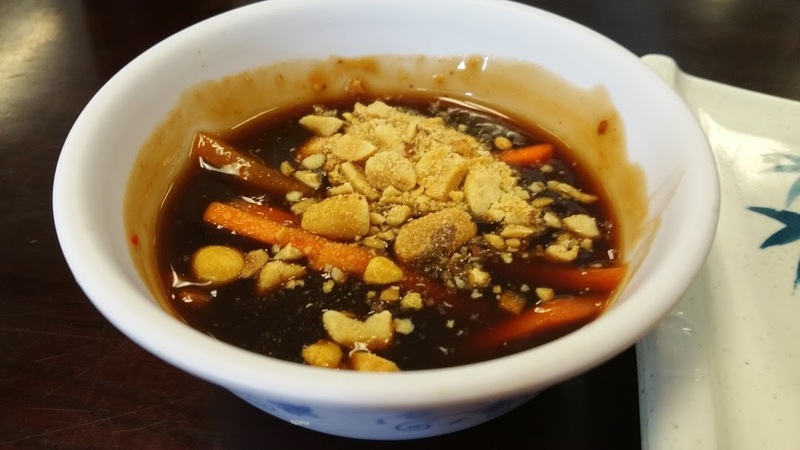 An ample serving of noodles, the beef broth flavorful, rich spicy; even with my compromised taste buds the aroma and well blended broth delivered its steamy goodness. Four or five meat balls bounced happily around in the broth, and I found large slices of the rare beef hiding on the bottom of the bowl. 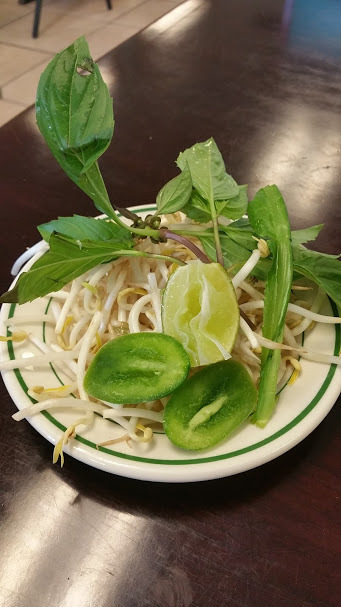 Along with the soup the plate of garnish that included Thai basil, Thai chili peppers, lime wedge, bean sprouts and coriander leaves. I favor the coriander leaves and basil but always leave the bean sprouts. 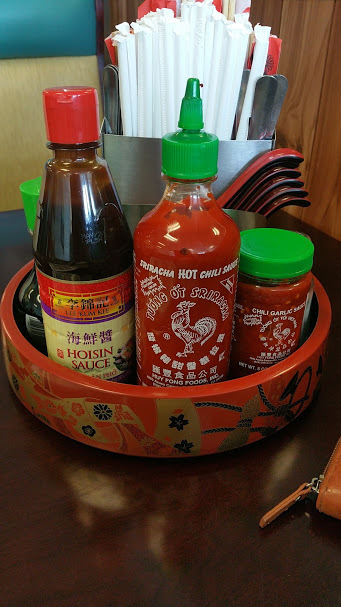 And no Pho would be complete with out the condiments that allow you to tweak it for your taste buds. This pic is pre- condiment, I have learned to always taste first and add if needed. This needed very little, a hit of Sriracha and two drops of Fish Sauce. Perfect. It delivered every bit of goodness one could ask for and certainly is some of the best Pho I have tasted. It was impossible for me to finish all of the broth, but I did take it home for another meal. I did order one more dish to go, thinking it would be great for dinner of lunch the next day. That was the Stir fried shrimp, in chili peppers and lemon grass served with rice. 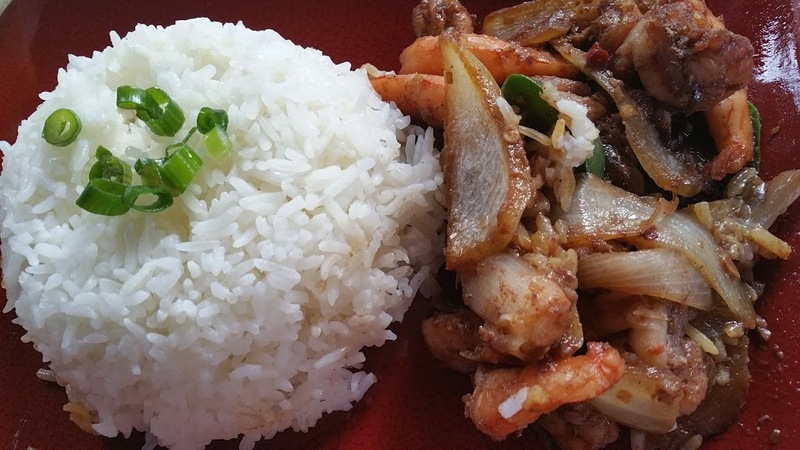 Ample serving of shrimp, well flavored with the lemon grass and good heat from the chili peppers. I did reconstruct this dish for lunch and dinner next day. At 6.95 it was a steal. 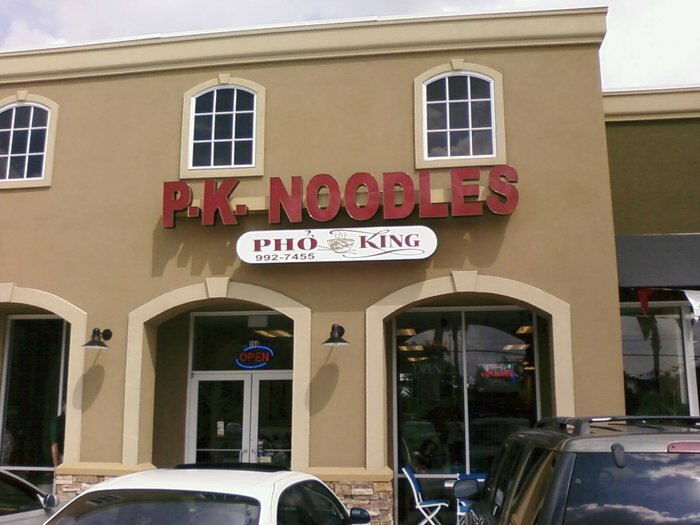 I have to give high marks to PK Noodles, service is efficient, and friendly, well maintained interior and top notch food. 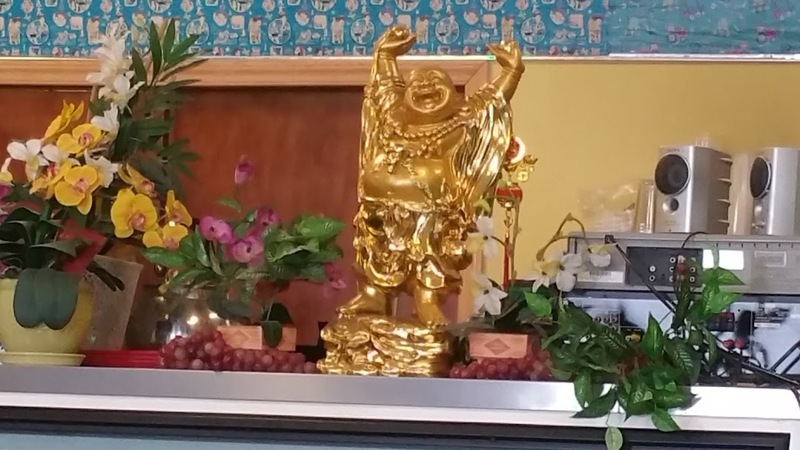 I did see several dishes on the menu I am not familiar with and will for sure go back to check them out. Take yourself out for a treat, have a nice lunch or dinne with friends or family. Meals are best with people you care for.